The Glitch Mob has announced a remix competition!! 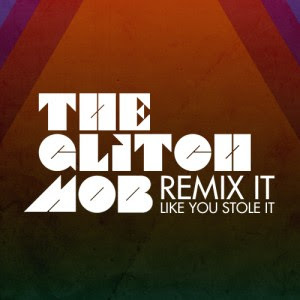 Grab the stems and REMIX IT LIKE YOU STOLE IT for a chance to have your track featured in the upcoming DRINK THE SEA Remix Album and have your music promoted by The Glitch Mob. The Glitch Mob will celebrate the release in Fall 2010 during the band’s 25+ show US tour. Proceeds from the sale of the release through Download to Donate for Haiti v2.0 will benefit Music For Relief’s Haiti Earthquake Recovery, a 501(c)3 non-profit organization dedicated to providing aid to victims of natural disasters and disaster prevention. On top of that, the Mobsters released the first remix of the track from their Drink the Sea album - Fistful of Silence by uber-talented artist, one of my favorite producers, Eskmo. Grab it while it lasts!